That Trendy Man | Trends For That Man! 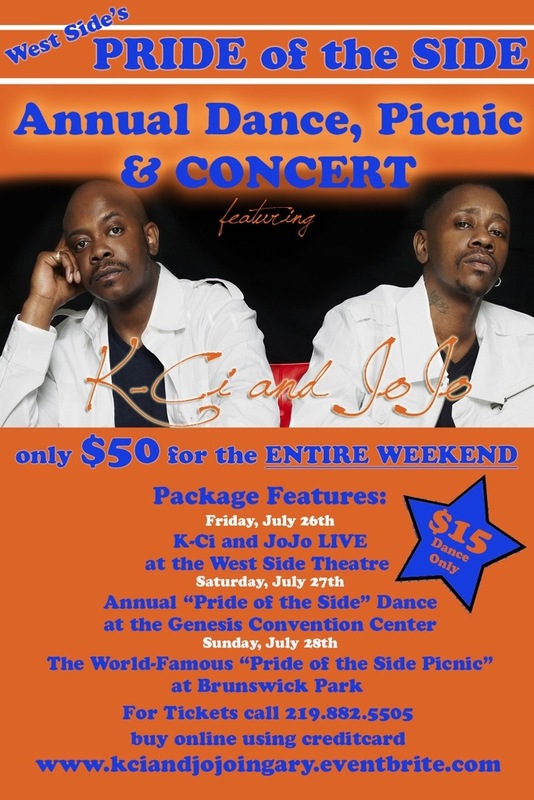 These are two of R&B’s Trendy Men, and they will be in Gary, IN July26th! The entire weekend of events is ONLY $50! Visit their eventbrite ticket center today to purchase! You Can Be Trendy, and Eco-Friendly, Too! Eco-friendly living does not end at segregating rubbish or reducing your petrol consumption. While these are undoubtedly major steps toward giving Mother Nature a good boost, going green through fashion is one more thing you could do every day, to lessen your adverse ecological impact. How exactly? you might ask. With small steps, and simple, everyday choices. By opting to purchase eco-friendly clothing, for one, you set a good example for your friends, and send a message to mainstream capitalist manufacturers that you value ecological consciousness; while giving progressive, green companies a needed boost. 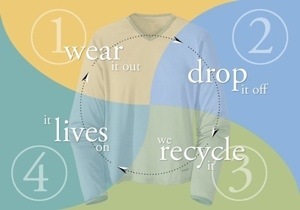 Eco-friendly fashion is made from either organic or recycled material. Its manufacturers are also careful not to use toxic chemicals to dye or treat the garments. Green clothing also helps guarantee that workers and suppliers are treated fairly, upholding human rights in its setting up of working conditions and distribution of wages. • Sneakers, sandals, and shoes. Eco-friendly shoes are made from organic raw material or from recycled matter. Organic material includes coconut, hemp, organic cotton, bamboo, and others more; while recycled matter ranges from old kimonos and recycled leather, to shredded magazines and used plastic bottles. While such footwear have an increased level of biodegradability, you can be assured of competitive designs and snappy styles that let you reduce your carbon footprint a la mode. • Backpacks and outdoor gear. Nature lovers get to be earth lovers, too. Aside from being made with earth-friendly material, environmental outdoor gear is also energy efficient. 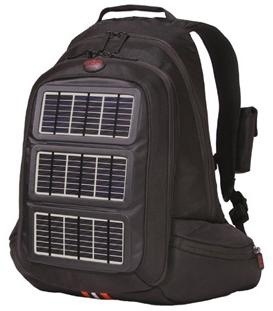 Certain backpacks and carrying cases have solar panels on them to allow solar-powered recharging of portable electronics (laptops, cellphones, cameras). Other outdoor gear can be adapted in order to lessen their negative ecological impact. Camping stoves, for example, can be converted in order to burn bio-diesel instead. In the true spirit of eco-conservation, dedicated workmanship also guarantees that these products last for years. These days, with so many possibilities available, going green is a lot easier to do. Green fashion has never been so accessible, making the right thing so much easier to do. Sharon Sussman loves keeping up-to-date on innovative trends and forward fashion. She works at Brilliance Dot Com, and would love to connect with you on Google+! 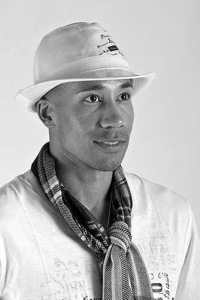 Stay tuned for an interview w the amazingly illustrious and eloquent Author, Dr. Frank A. Thomas, coming to That Trendy Man! A “beautiful mind” is also in fashion, and we would love for you to get to know this Trendy Man! Email us for an opportunity to contribute to this blog at lovetrendymen@gmail.com! If you’re not already keeping an eye on Swedish haberdasher Rose & Born’s, let us be the first to tell you that you should be. The tailored clothing experts have built a business on their keen eye for styling, and their most recent installment of seasonal looks shows us exactly why. How could anyone possibly look at the shot above and not want to wear more blue this spring? Blue. It’s happening. What Do I Wear With My Hat?! If you grew up on Indiana Jones, then you, too, know that hats with brims go well with jackets – even muddied ones. Taking our cues from Indy and his dad, Henry, we are able to say that subtle, earthen-toned hats with ample brims blend naturally with collared, rugged jackets, besides three-piece suits (Dad’s). Great company to formal faculty dinners, and in running from bandits and dilapidated temples. If you’d like to look the part, spice up that three-piece with a genuine pocket watch, or an old-fashioned wrist watch. 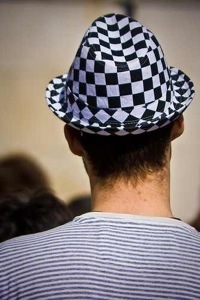 For the less subtle, however, who prefer vivid patterns, a nice v-neck should look complete, with a short-brimmed hat dressed in doodles, or in black-and-white checks or houndsteeth. Perfect with sneakers (could be patterned, too), and just right for that coffee al fresco thing before the movie tonight. If it’s a little nippy outside or if the heater’s broken at the theater, opt for a cardigan or tie a scarf around your neck. It will look more put-together with your ensemble, than would a jacket with a collar. 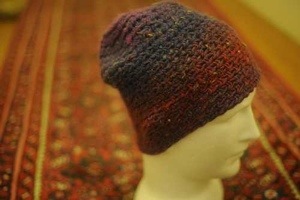 Lastly, if you’re a beanie man, you can still wear one outside of winter. They are innately casual, so go ahead and wear them with that shirt and those skinny jeans, to chill with your friends. To see the girlfriend, however, you’d look more dashing in long sleeves pushed up your forearms, three-fourths style. Leave the sweater at home. If you don’t know which type of hat you are yet, it’s usually a good thing to experiment. It would be a good idea to borrow from people you know, before you actually buy one. You’ll need a mirror, your own intuition, and a friend you can trust. Once you find the right one, who knows? You might start a trend! *Post submitted by Sharon Sussman, who maintains the company blog at Brilliance Dot Com, maker of dream engagement rings. Connect with her! 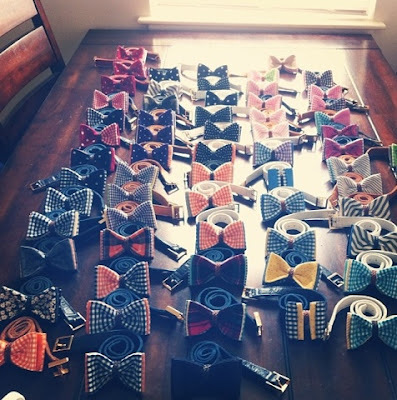 Bow ties tend to be associated with particular professions, such as architects, finance receipt collectors, attorneys, university professors, teachers, waiters and politicians. Bow ties are often worn with suits by those trying to convey a more dressed up, formal image, whether in business or social venues. Certain bow ties, especially narrow “string ties,” are still popular with men of all ages in the American South. It is equally appropriate to wear either a bow tie or a necktie with a dinner jacket. Bow ties are also sometimes worn as an alternative to ascot ties and neckties when wearing morning dress.The dress code of “black tie” requires a black bow tie. Most military mess dress incorporates a bow tie. Enter your email address to follow the trends posted by various trendsetters!